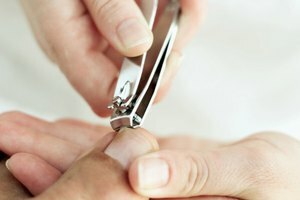 Pedicures at a salon or spa can cost a lot of time and money. The HoMedics Pedicure Spa offers the luxury of a relaxing massage and provides the tools to give yourself a professional pedicure. You'll have relaxed and soft feet that are ready for your summer sandals without breaking the bank. Fill the spa with warm water to the tub's fill line. Place the spa on the floor in front of your chair or wherever you are choosing to sit. Place the handle in the resting position and plug the spa into an outlet. Use your toe to turn the massaging bubbles on with the on/off button. Place your feet in the water and relax. Allow your feet to soak for about 10 to 15 minutes. Turn off the bubbles by pressing the on/off button again with your toe. Choose the pedicure attachment you want to use from the covered storage compartment in the spa. You can choose the pumice stone, which you use to exfoliate rough areas on your feet; the nail buffer to smooth your toenails; or the dry heel reducer to get rid of rough, dead skin on your heels. Place the attachment on the center post of the attachment base. Turn the tool on and use it on your feet. When you are finished, turn it off and replace it in the compartment area. Soak your feet again and dry completely. Unplug the unit and allow it to cool. Empty into the sink or bath tub and then clean it with a mild cleanser and damp cloth. Dry the unit completely. Put warm water into the spa tub. The spa will keep it at its current temperature, but won't heat cold water. Add Epsom salts or peppermint bath salts to your water before soaking your feet. If you are diabetic, consult your doctor before using this spa. It is recommended that no one use the unit for more than 30 minutes at a time.